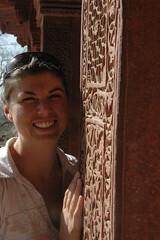 Lorna and I went to India for work in February . 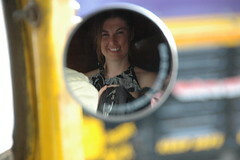 We were there for a week and a half so we had a weekend to do something in India. 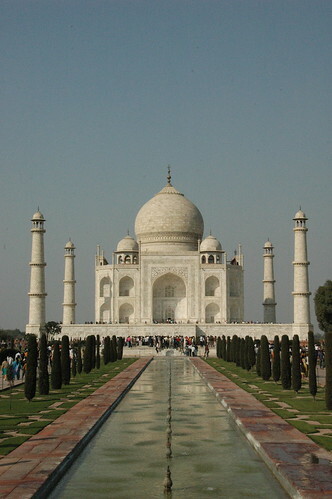 We decided to head off to the Taj Mahal (photos). 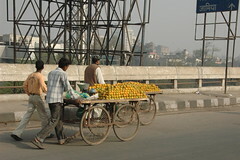 We were based in Mumbai, so this involved booking flights to Delhi and then taking a drive from Delhi to Agra . Quite a mission. 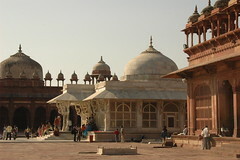 For the way back we booked a flight from Agra to Delhi and then another flight back to Mumbai. Getting up early on the Saturday morning for the flight and drive was a mission, but it turned out well worth it. Driving anywhere in India is a mission though. 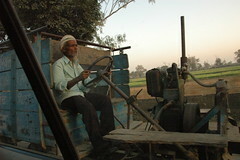 The drive from Delhi to Agra is only 250km but takes 5 hours to complete. 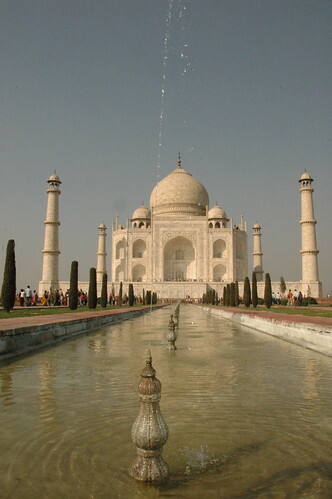 Arriving in Agra we went straight to the the Taj Mahal. We arrived just in the middle of the afternoon and were quite lucky to get the light as the sun started setting. 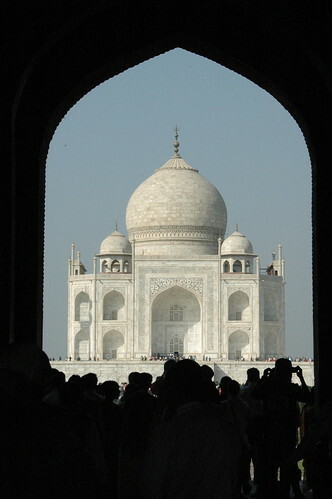 The Taj really is something to see! 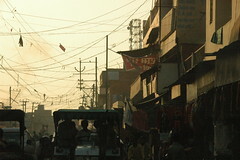 Agra is a "small" town of 2.5m people. 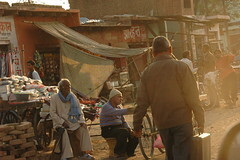 It really does look like a smallish town but in India they do manage to fit a lot of people, cattle, markets, cars and many other things in a very small town. This makes it take ages just to get out of the town. We stayed at The Bagh (photos ) in Bharatpur outside Agra. 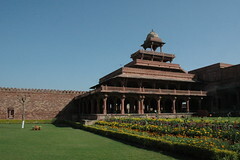 Halfway between Baharatpur and Agra you can find the Fatehpur Sikri (photos ), a palace and mosque which is quite amazing. 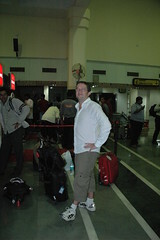 After Fatehpur Sikri it was off to Agra airport to discover that our flight was delayed, and later cancelled. This from an airport where this was the only flight departing... 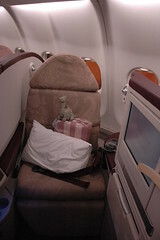 I learnt to love Kingfisher (the airline not the beer ). I suppose that is my reward for flying with an airline that also makes beer (or should that be the other way round?). So at 9pm we had to hop in a car again and drive back to Delhi, to experience an hour long delay outside Delhi to get through a toll gate on a toll road. They seriously still made our driver pay after making us wait an hour to pay! The pay point was a table with 1 guy sitting there getting money, so everyone has to stop, get out of their cars and go pay. So I can say I was stuck in a traffic jam after midnight on a Sunday evening. 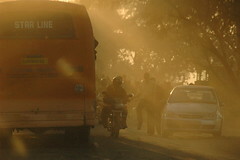 Anyway reaching Delhi in the early hours and catching a flight back to Mumbai first thing in the morning was not fun. 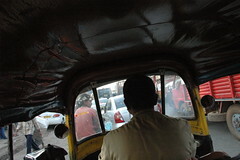 Back in Mumbai you also spend much of your stuck in tuctucs and taxis in traffic. 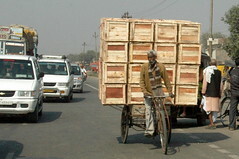 It is really jaw-dropping how bad traffic can be in Mumbai. 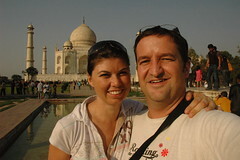 See all the pics from our trip to Taj Mahal here.